Please contact Dot Mays at (919) 552-6434 for rental information. 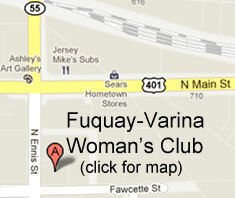 Please use the form below to contact the Fuquay-Varina Woman’s Club. We will reply to your message as soon as possible.